Grace Church is a nondenominational church with six Northeast Ohio campuses including a Bath campus holding services at its Ghent Road and Montrose facilities. These locations and Grace’s business offices are all within FairlawnGig’s service footprint. Rather than building big buildings or a “mega church,” Grace has instead decided to focus on growing local churches within given communities. More specifically, Grace’s goal is to establish 30 campuses in 30 years, each serving its community’s specific needs. 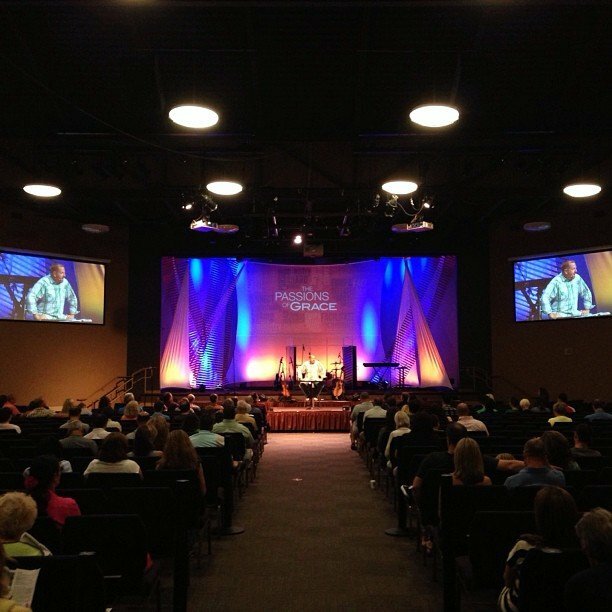 Grace’s Bath campus hosts 3,000 churchgoers weekly for its seven weekend services between the two locations. The church also broadcasts services welcoming virtual “visitors” through live streaming with FairlawnGig’s upload capabilities. With services in multiple buildings and campuses, Grace Church relies heavily on area facilities being able to connect and communicate with each other. FairlawnGig’s business gigabit service enables day-to-day operations including telephone (VoIP) service for seventy-five employees, cloud services, and the bandwidth to easily exchange large (including video) files. FairlawnGig also connects three locations (Montrose, Ghent, and the business offices) using FairlawnGig’s Layer 2 Transport services. Grace relies not only on FairlawnGig’s Internet service but also its infrastructure and switches to connect its three Fairlawn-based locations. Grace Church is also using its FairlawnGig connection for some nontraditional community outreach. Recently, Forge Gaming held a LAN event on Grace’s Montrose campus, hosting more than 100 gamers. Because competitive gamers require fast, low-latency Internet connections, FairlawnGig delivered one of the best Internet connections in the world… making great gaming a reality.